Turia Pitt is a motivational speaker, athlete and burns survivor, and she has written her latest book in such a completely friendly, casual way that from the very first sentence you feel welcomed and wanted, almost like you can sense Pitt’s warm delight that you, personally, are reading her book. 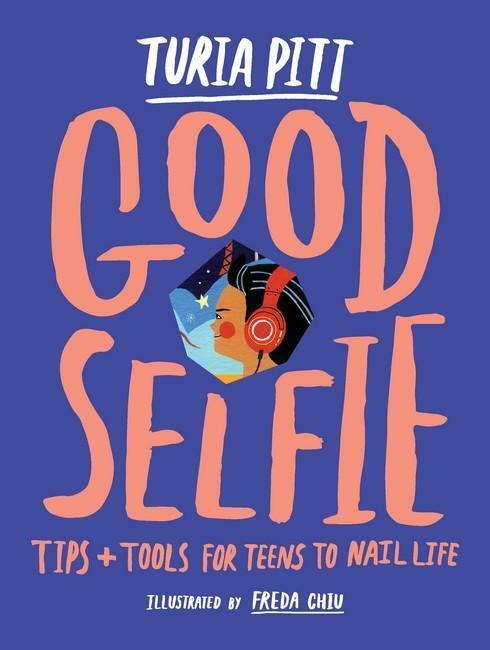 Good Selfie is a book of Pitt’s ‘tips and tools for teens to nail life’, as well as answers to a collection of questions she is frequently asked by teens while on her speaking tours. Each chapter starts with a theme, followed by questions and answers relating to the theme, and ends with related exercises. It is presented in such a way that it can be read however you like: you can read it all the way through at once, or dip in and out when you see a question that piques your interest or an activity or exercise that feels relevant to you at the time. Some of the activities Pitt suggests seem really simple and obvious, but there’s something about the way she writes that affects you as you read. No matter how doubtful you may have felt about her immediate answer to the question at the start of the chapter, by the time you’ve read through to the end you will find yourself enthusiastically filling out the related exercises. I also want to make it clear this is not just a book for girls. Young boys and men are equally as susceptible to the pressures of society, they are equally as in need of someone to encourage them to write down personal achievements about which they can be proud, and they also will find themselves in need of good, solid, positive advice about how to deal with setbacks in life in a healthy way. This book is perfect for all young people. Good Selfie is an infectiously positive book and I highly recommend it for all kids 10+.